Now, that you are already aware of how Amazon can turn out to be a great resource of earning income! It’s time to launch an Amazon affiliate WordPress theme for promoting affiliate products. 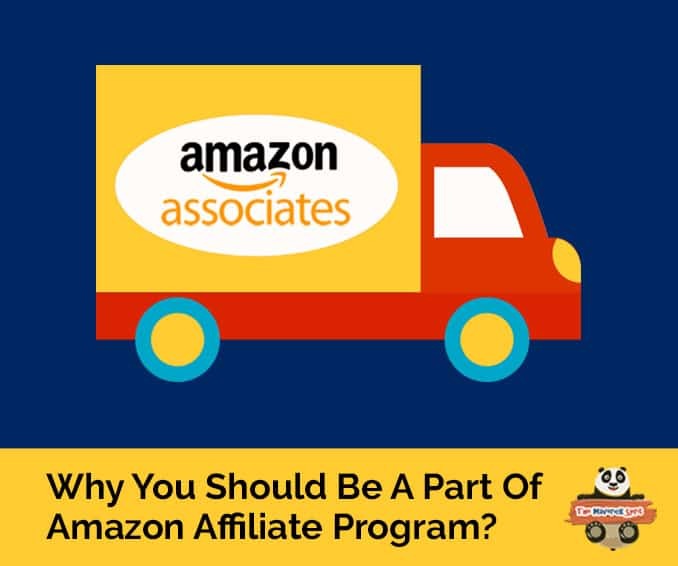 How do you become an affiliate with Amazon? 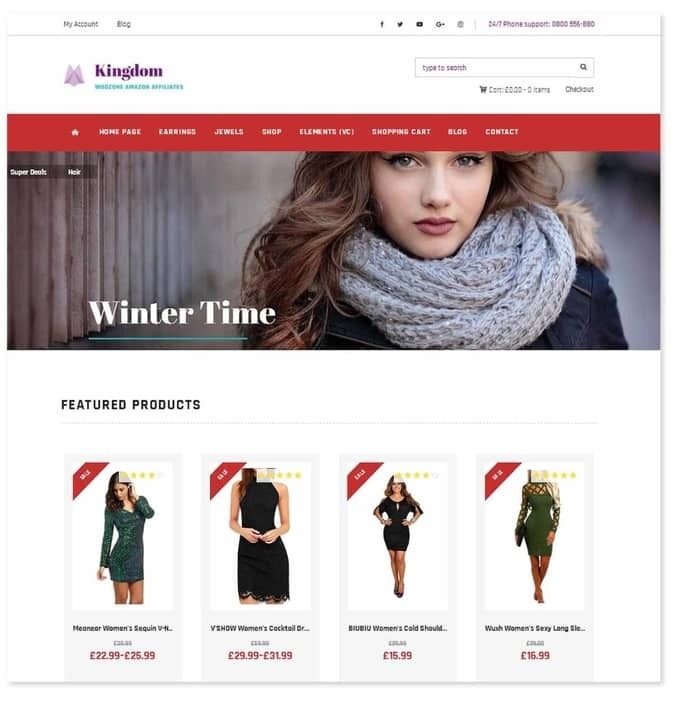 eCommerce/WooCommerce integrated Amazon store WordPress website. Why should you choose an Amazon affiliate WordPress template from the list given below? Good question! 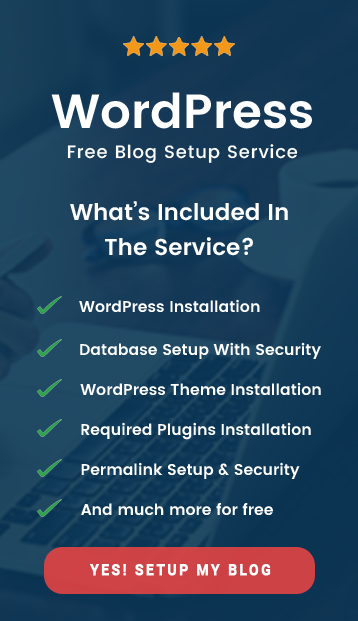 Firstly, WordPress is packed with all powerful features and is extremely easy to use for any newbie blogger even if he doesn’t perceive coding knowledge. You can make use of various Amazon associate plugins, add WooCommerce store, or make a code to perform a particular action or functionality! How can one neglect that its Social network compatible, SEO and mobile friendly too!! Well, there are tons of reasons to prefer WordPress over traditional websites. Let’s explore these Amazon niche site WordPress themes to skyrocket your Amazon Affiliate commission. 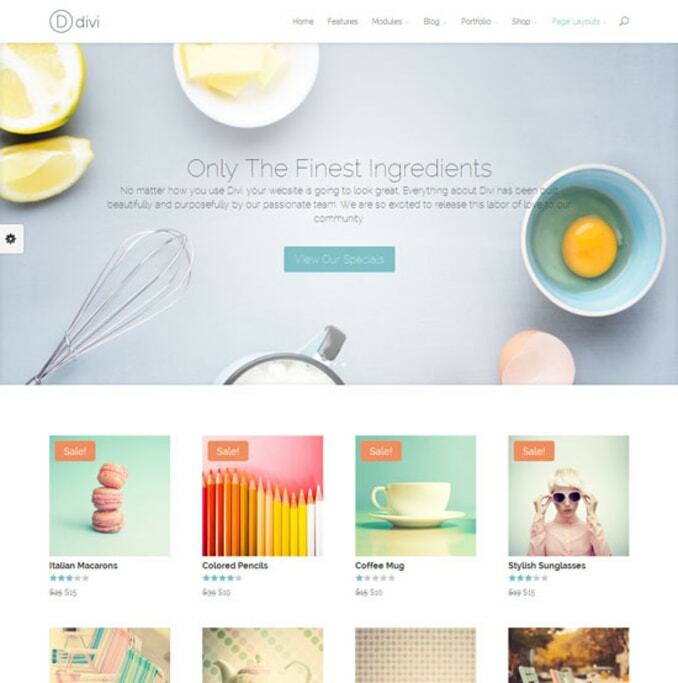 Divi is ultimate WordPress theme and visual page builder which has been used today by vast audiences in different niches. 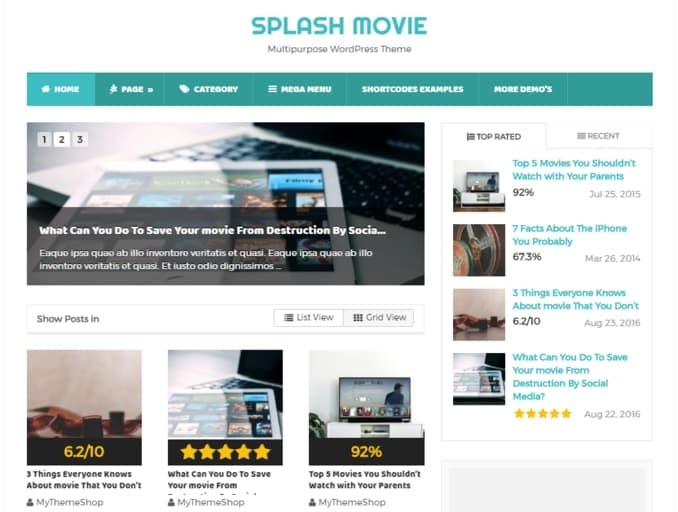 The only theme which has released thousands of elements to let you design your dream website on any occasion. Showcase your imagination through Divi by simply toggling featured options on and off. Divi WordPress template is designed by ElegantThemes which provide infinite possibilities by giving you full access to colors and fonts, and the layout options. Divi is comprised of a vast amount of features that help you built dream website instantly! Sucuri certified – Zero issues found that ensures your website is safe! Fully translated into 32 languages – Unlike other translations provided by various themes Divi translate the front end elements as well as form fields and descriptions of all the pages of the website. Split testing – Divi tracks your leads and provides powerful stats & insights. Helps you to achieve high conversion rates. A wide range of Header and Footer options. Theme Customizer with Live Preview. 20+ premade Layout templates included. 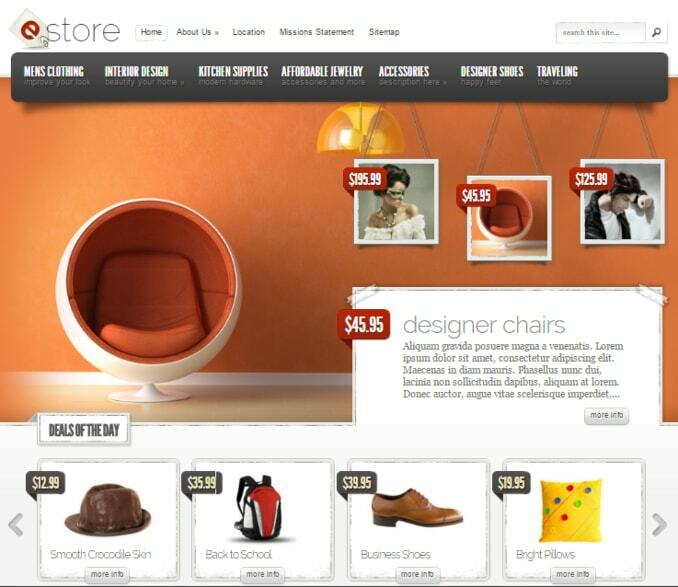 eStore WordPress theme is designed by ElegantThemes. If you have signed up for Amazon affiliate and looking to sell products online you must give a try to eStore! Easy to configure eStore eCoomerce theme which helps you to build an amazing website by providing a plethora of integration offers. 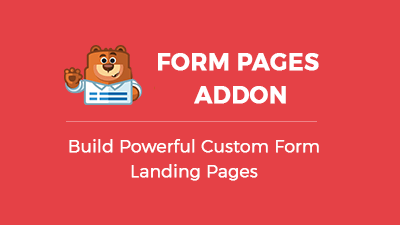 Page templates – featuring gallery, contact pages, sitemaps, blog feeds, sitemap, login, search, and full-width page. Clipper is the most preferred theme by many Amazon affiliate users to setup a Coupon based WordPress theme. The theme provides strong monetization tools so that you can easily charge visitors to list coupons on your website and make money additionally. 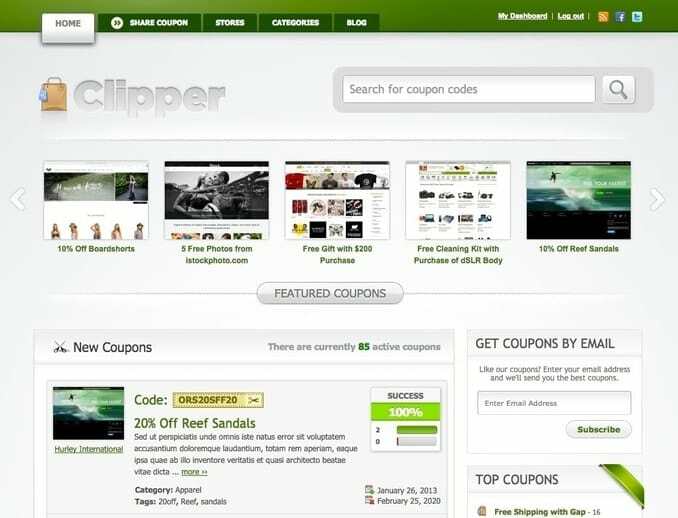 Clipper is the best fit if you have to launch a coupon based affiliate theme. Link Cloaking and Tracking which includes Page view counts, Clicks, and CTRs. Recaptcha enabled to detect spammers. Advertising support – for banners and affiliate networks like Google AdSense. We all review products before thinking off to purchase it and look out for websites featuring information on them. There are chances that a visitor plan to purchase a product after reading review. Well, if you have got an idea about the power of a review website then you obviously want to have one now!! In-built Review System in Splash by making sure your review on..
..Amazon, eBay, Flipkart, Snapdeal, walmart, alibaba, aliexpress, or Myntra products stand out along with rich snippets and star ratings!! Flexible Homepage layout – choose between Grid & Traditional blog design. 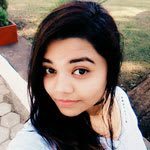 I recommend you check out their website for more features which take care of performance, styling options, header, footer, homepage, single post settings, social buttons styling, ad managements, and import/export options. 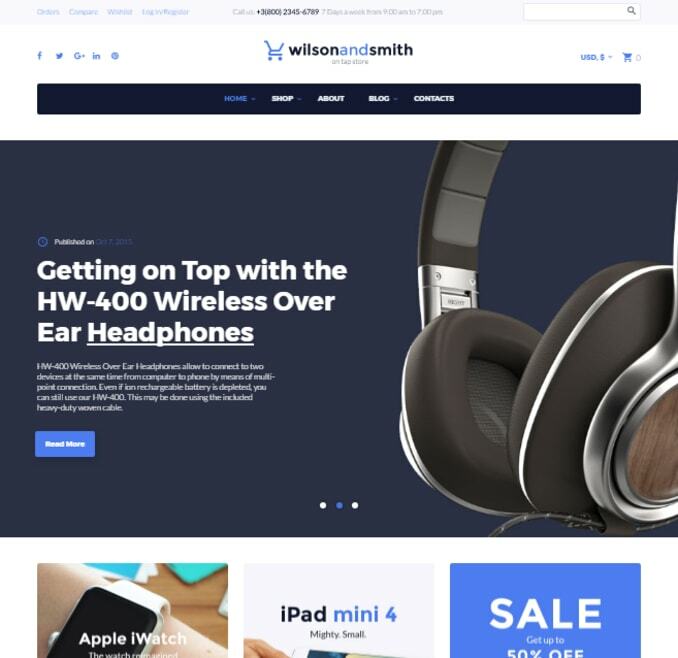 Tech gadget which is also know as Wilson Smith electronics eCommerce WordPress theme is designed by TemplateMonster. An easy to use, clean modern design WordPress template that helps you sell out your Amazon niche products easily! Tech Gadget helps you to setup a decent online store on WordPress which is fast, good looking and functional. Kingdom Amazon affiliate WordPress theme is developed by AA-Team. The theme is built with WooCommerce Amazon affiliates plugin. Gold Box shortcode to showcase Amazon Top Deals. 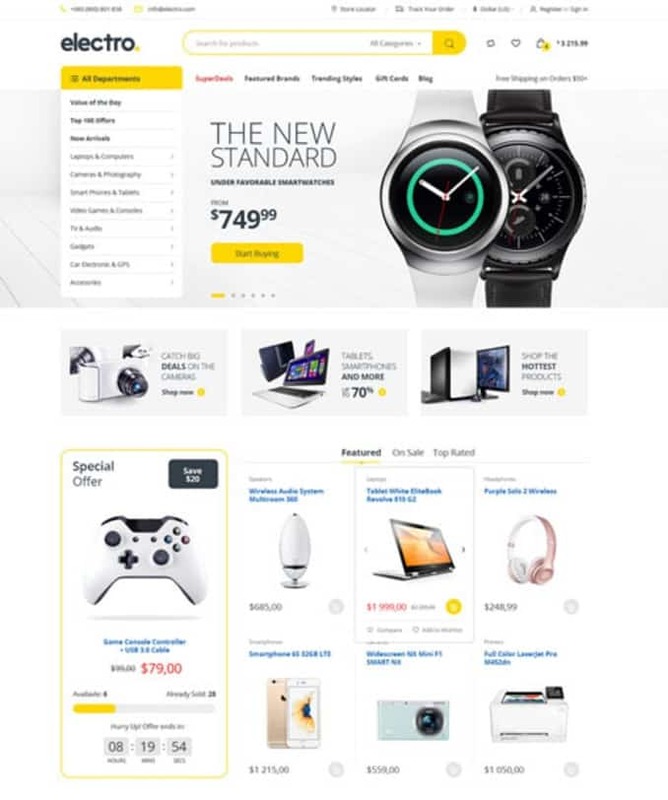 Power your online electronics Amazon store with Electro WordPress theme created by Transvelo for all electronics store owners, vendor based marketplaces, affiliate websites holders etc. ReHub is well known as hybrid money making WordPress theme with most powerful comparison functions and smart affiliate plugins ever!! 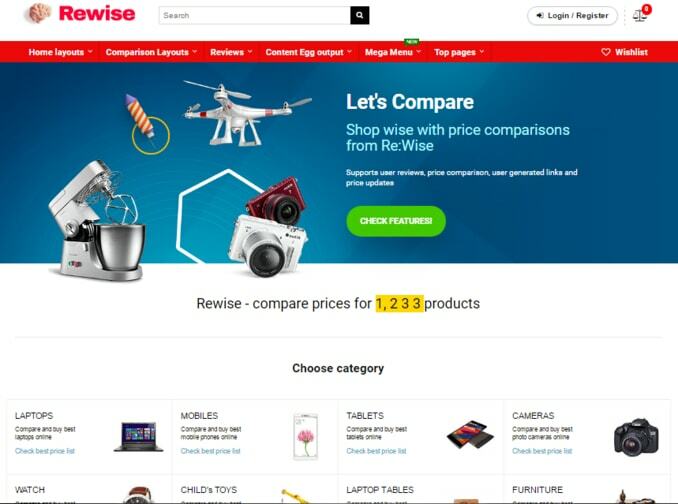 A perfect website template for price comparison sites, multi-vendor stores, Amazon product review, affiliate marketing, deals and community theme etc. ..you get 6 bonus themes and 7 bonus plugins!! Mega functional combination to choose from – Comparison, Deal website, vendor store, directory, community. 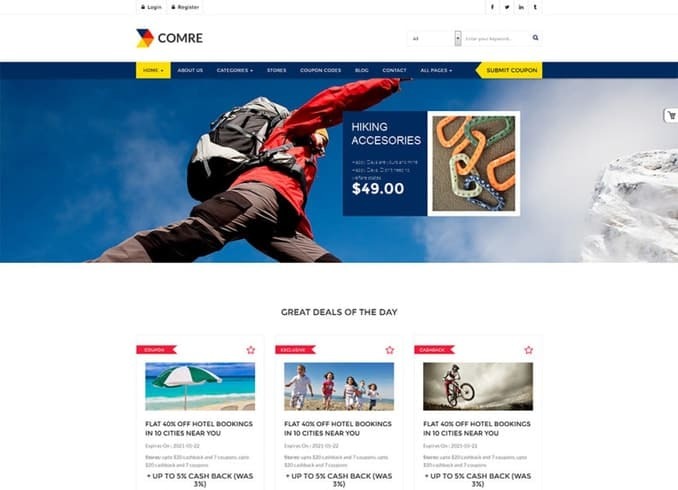 Comre is yet another directory and listings affiliates WordPress theme. Best coupon code Amazon template with premium plugins integrations!! Sell your services and Amazon coupons online with fully eCommerce compatible Comre coupon code WordPress theme designed by WPMines. Choose a proper Amazon affiliate WordPress theme that will make your job easier. 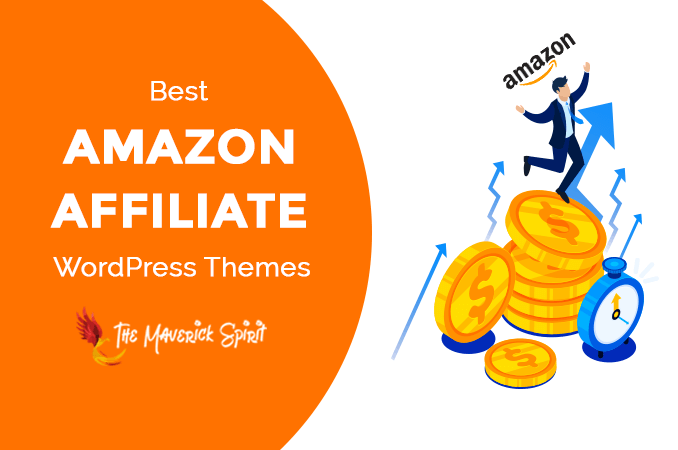 Well, now that you have gone through the list of 10+ best WordPress theme for Amazon Associates affiliate niche sites, let me know which one you liked the most? Maximize your sales by adding – Best Amazon Affiliate WordPress Plugins. Place product links, text, images, description, and banners easily. 10+ Best Amazon Affiliate WordPress Plugins to Make More Revenue! I am not an Amazon affiliate yet, but I have been toying with the idea. Thanks for the theme suggestions. I’m an Amazon Affiliate, but have not thought of changing my wordpress theme to have match this. Amazon niche websites provide all necessary features that a user needs to run it’s Affiliate store smoothly!! From, subscription forms to WooCommerce integration, Checkout Cart, Product categorization, Wishlist and much more. These Amazon affiliate WordPress themes take care of everything! I currently have wordpress, so I need to look into changing to one of these themes! They all seem extremely easy to use! I need to look more into the Amazon money making side! I love these themes, they look so easy to use! 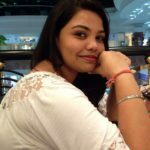 I am an affiliate for a couple of online stores. I make a little bit of money each month or every quarter. I have heard that WordPress based websites are great for SEO and that google loves them. These are great incentives for those that are thinking of taking the plunge! Thanks for this update. I will consider this as i am opening a new website using wordpress. 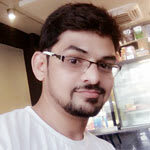 I am on WordPress and have changed my theme in the last few years. You make some good points here. I’ll bookmark this page. I have an Amazon Affiliates account but I haven’t used it yet. I will certainly research a few of these themes and see how I can improve my website. Interesting, I wouldn’t have thought about installing a theme that is so affiliate-friendly. eStore WordPress theme looks interesting! I’m an Amazon Associate and I need to really get serious with my effort. Going to try eStore as it looks promising. This might be helpful. These are all awesome amazon affiliate WordPress themes. I am going to have to research these before I start my blog. This information can help so many people just starting their blog or wanting to become an Amazon Affiliate. Thanks for sharing the information. I’ve never thought about having a theme that would work so well with Amazon Affiliates but the first one is so beautiful, and would definitely work with my blog. I might have to look into it.